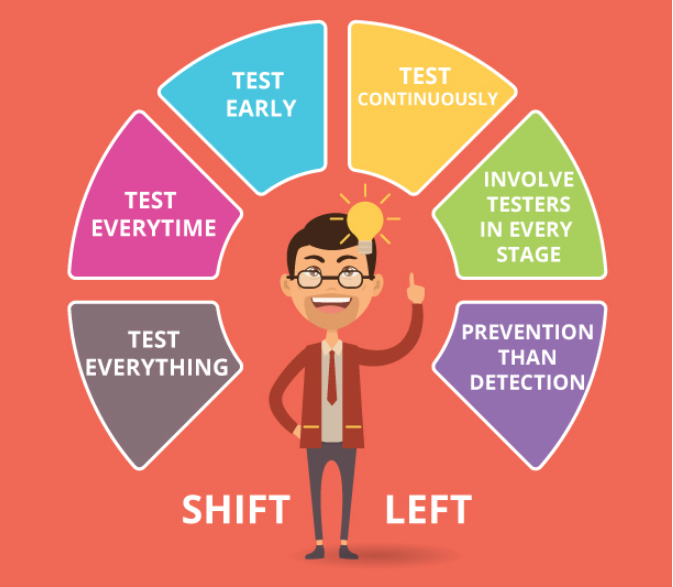 The principle of ‘shift left’ supports the testing team to collaborate with all the stakeholders early in the software development phase to clearly understand the requirement, design, draft testcase and automation scripts to help know where the software may fail and fix them at the earliest. More individual interactions over the process and tools, working software over detailed documentation. As a tester we can & need to engage ourselves initially to provide useful valid inputs, interact with management and operation team for a proper planned resources, tools and training interact with end users/clients. Furthermore, to know who is our user base and purpose of the software. our competitors in the market, to analyze this requirement for any ambiguity, completeness, testability, acceptance criteria definition etc. It is vital to provide real life example of current issues, attending design review meeting to understand and identify the design flaws. Nonetheless, suggestions should be made on alternate design options, identify the loopholes, and create test scenarios accordingly. It is important to carry out static testing, provide test case in advance to develop the code, and unit test, to adopt to test automation, and integrate the suite at all stages and to perform formal audit. So, in a nutshell, it is important to get started with software testing earlier because a stitch on time saves nine. Besides this, shift left is a big leap in software development methodology that contributes towards robustness in market, improved software quality and saves time.